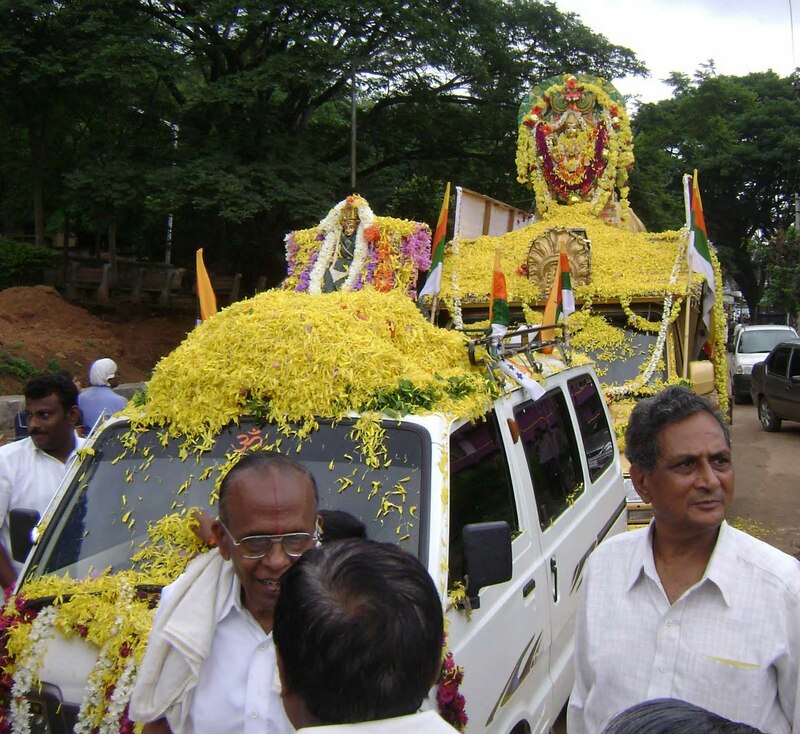 Prior to the scheduled Karnataka Arya Vysya's Conference in Bangalore on December 24,25 & 26th the Sri Vasavi Sankalpa Ratha Yatre is being carried thru out the state Karnataka. The ratha (chariot) yatre passed thru Ramanagaram District on September 7th and 8th. 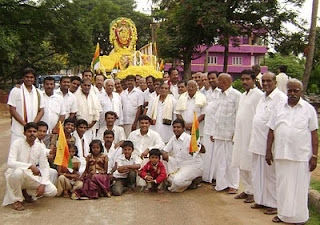 The Vasavi Ratha arrived from Bangalore Rural District. 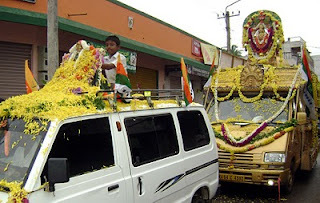 The Ratha was carried out in the procession in all the taluks of Ramanagaram District ( Magadi, Ramanagaram, Channapatna and Kanakapura). Karnataka Arya Vysya Mahasabha District Directors B.V.Surya Prakash, S.G.Ramesh Guptha and Ramanath lead the procession thru out the district.